The complexities of the many concepts and models around information literacy are considered, and some personal views given as to how they may best be clarified, both theoretically and practically. 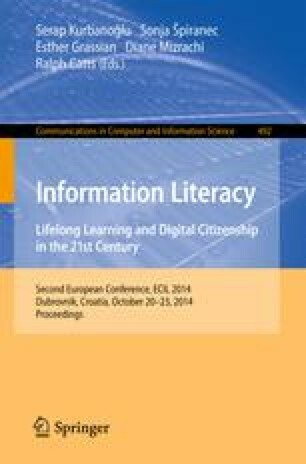 A slightly adapted idea of the concept of information fluency can serve as a main general purpose for the promotion of information literacy, expressed as a more specific meta-model for the prevailing technological environment, and as still more specific components for a particular context. The focus of this relatively stable general formulation is on understanding, rather than skills or competences. It can incorporate the need for education, advice and counseling, as well as information provision, and with domain-specific literacies, as well as supporting personal information literacy.